This year’s SEMA show boasted tons of new products across all segments of the aftermarket accessory world. PIAA’s launch of multiple new product lines received a great deal of attention in the LED lighting segment winning three Global Media awards. 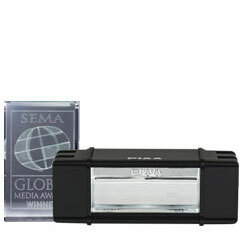 Since 2004 the Global Media Award have been a staple of the SEMA show. The judge’s opinions are highly regarded and respected around the world. PIAA’s new RF6 LED fog lights received two of the Global Media Awards, one for the white beam version and another for the new Ion yellow fog. 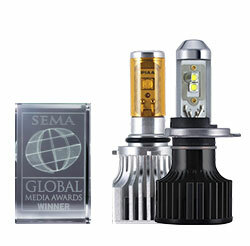 With the third award going to the LED performance bulbs, which come in both 6000k white and Ion yellow output. The LED Performance bulbs now come in new fitments which include H4 (9003), H9, and 9005. These new bulbs featuring a set screw so the user can always ensure proper chip alignment for maximum performance and beam angle.